Parkinson’s disease is a progressive disease of your nervous system that affects your movement. It results from a breakdown of individual nerve cells in a person’s brain called neurons. When neurons break down or die, a person’s dopamine levels will drop which results in abnormal brain activity. While the cause of Parkinson’s is unknown, it is believed that genetics and exposure to toxins or environmental factors can play a significant role in the development of the condition. At the onset of the condition, the signs may be barely noticeable. Often, the symptoms of Parkinson’s disease can begin on one side of a person’s body. As the condition progresses, the symptoms usually become more severe and noticeable on both sides of the body. The most common symptoms of Parkinson’s disease include tremor, slowed movement, rigid muscles, impaired posture and balance, loss of automatic actions, altered speech, and difficulty with writing. Parkinson’s disease is a condition that is specifically listed in Social Security’s Blue Book listings of impairments. For a claimant to be found disabled based on the listing requirements, they must prove that their condition meets or equals the necessary severity level of listing 11.06. To achieve this listing, a claimant must provide medical evidence demonstrating that their condition causes significant rigidity, bradykinesia, or tremor in two extremities, which, singly or in combination, result in sustained disturbance of gross and dexterous movements, or gait and station. Even if a claimant’s condition is not severe enough to meet or equal a listing, they may still be found disabled based on the physical and mental limitations their condition causes. For instance, a person with a significant tremor may be unable to use their hands for even primary work activities, such as writing, typing, holding/carrying objects, and picking up coins off a counter. Further, a person with impaired balance may be significantly limited in their ability to stand or walk for prolonged periods. These limitations, either singly or in combination, may preclude a claimant from performing any sustained work activity. 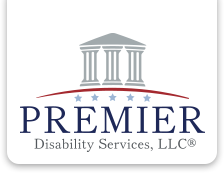 Premier Disability Services, LLC has extensive experience assisting claimants who have Parkinson’s disease. If you have been diagnosed with Parkinson’s disease and you are unable to work, please contact our office for a free evaluation of your claim.